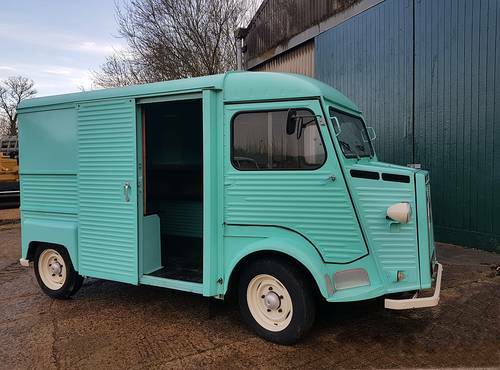 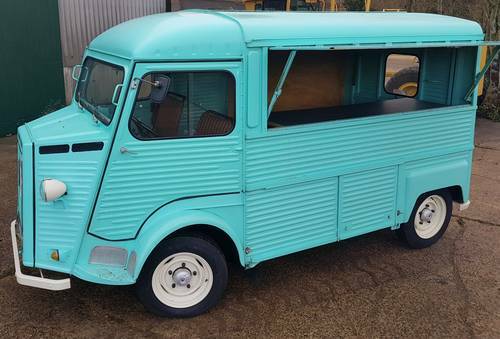 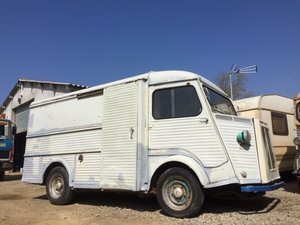 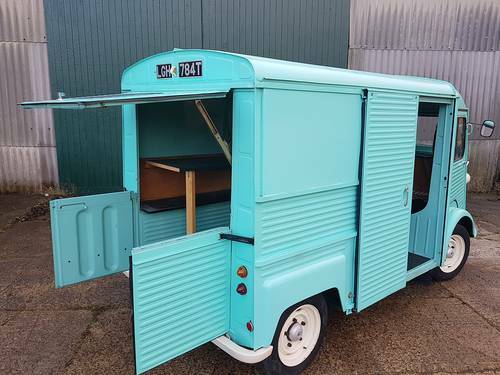 For sale on behalf of the owner, stunning condition Citroen HY van petrol model in "retro pastel green" and white wheels + front/rear bumpers. 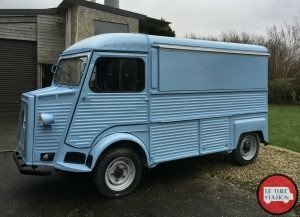 A lot of money was spent making this van looking as good as new. 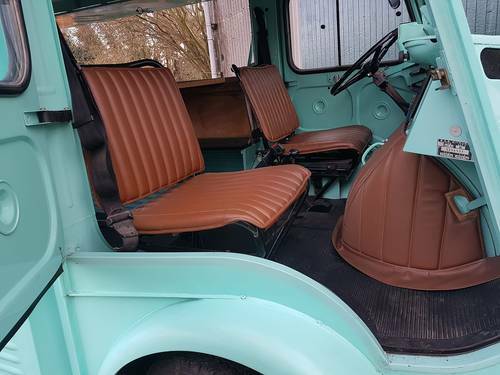 Interior seats are fitted with new brown covers as well as sound cover for the engine access flap. 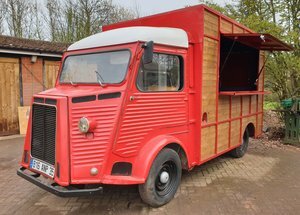 It is also fitted with a side opening flap and serving counter. 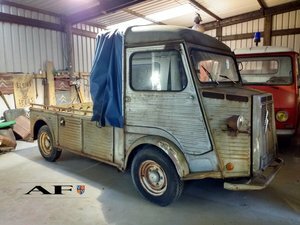 Recent work included overhauling the braking system.